Social media has provided a revolution in the American lower tier soccer community, but not just when it comes to chronicling results and exchanging banter. It has also proved a barometer for moments of genius in branding, badges, and kits. 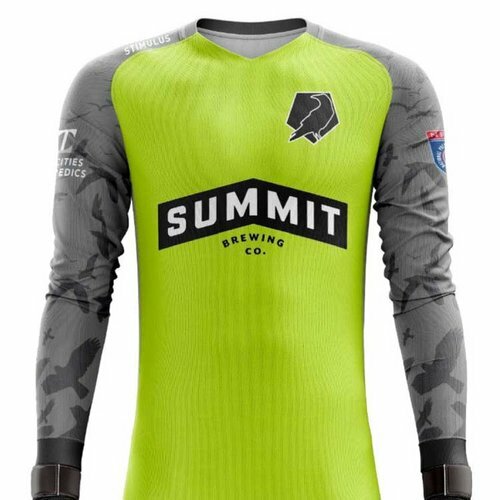 There is perhaps no better example of this phenomenon than NPSL North side Minneapolis City SC’s 2018 kits. From the smoother primary kit, a clean white jersey with a striking black depiction of the Sabo Bridge across its chest, or the away kit, a bold pink and black flannel pattern (nicknamed the “modern Paul Bunyan”), Minneapolis City’s kits made their way across the Twitterverse about as fast as a kit can. Minneapolis City, as is becoming more and more common in the growing lower league community in the US, has always been about celebrating a unique identity. Whether that be about Minneapolis and its history or celebrating American and Minnesotan soccer, Minneapolis City’s identity has been as key to the club’s growth as its positive results on the pitch. With that in mind, I talked with club co-founder Dan Hoedeman to see how his club’s identity and recent partnership with Stimulus reflect the club’s priorities and goals. Having discussed the process, Hoedeman moved on to explain the meanings behind each kit. In regards to the home strip, Hoedeman says it “Harkens back to the club's first season at The Barnyard [Les Barnard Field] basically under the shadow of the bridge, has a connection to our new Intergalactic World Headquarters, and is super close to Edor Nelson Field”. Edor Nelson is Minneapolis City’s home pitch and part of the Augsburg University campus. Finally came the goalkeeper kit, which featured a relatively straight forward body but also a unique sleeve design, “We ended with a GK shirt that references the south Minneapolis "mega murder" which maybe a lot of people don't/didn't know about, but for everyone from town and everyone who did post-games with us at the Viking Bar they know the Mega Murder well.” The “mega murder” inside joke is rooted in a strange phenomenon in which thousands of crows — which are the club’s mascot — appear across the metro area. With “murder” being one of a few words used to refer to a large group of crows, the phrase “mega murder” gained traction as a comedic but accurate description of the surprising carrion presence in Minneapolis and the surrounding metro. The element yet to be featured in this article is that of the kits’ producers, Stimulus Athletic. “The story of Geison Moura, the founder of Stimulus, is a great one too. A playing career takes him from Brazil around the world with a stop at Minnesota United that resulted him putting down roots in Minneapolis. We saw a lot of our business in his. We were pumped to be able to help him get Stimulus really going and move into his post-playing career… We got to support an awesome local business without making any concessions on quality. 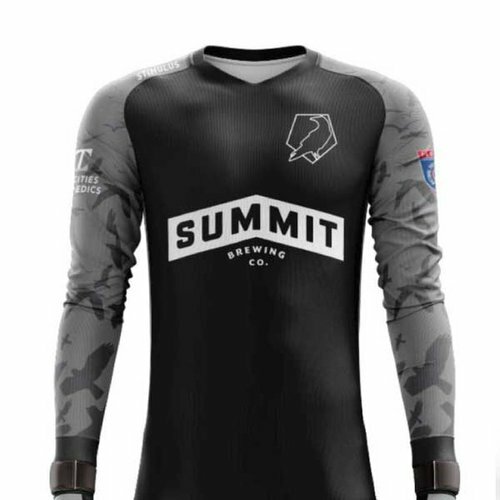 We feel very lucky to have Stimulus as our kit partner.” Stimulus, founded by Moura after his playing career had ended, has made big moves in intertwining themselves into lower league soccer and now make kits for numerous clubs at various levels of the game, from the local Minnesota Amateur Soccer League (MASL) to NPSL clubs like Minneapolis City. As the stories and explanations above will likely show, each of these kits are visibly and emotionally connected to the city they call home, an important narrative sewn throughout the lower league kit community. Hoedeman feels that beyond the likes or dislikes of a design, this was what made it all matter. “The designs were perfect because they looked great and also had this deeper narrative, this triggering of these great experiences and club history woven into them." In an ever growing community of unique looks and brands, one that has found its home in lower league soccer far away from corporate deals that otherwise limit design, Minneapolis City stands out as an example of how creativity could provide us with countless soccer clubs that challenge the usual limits of design in sports.